758 Croton Road, Melbourne, FL.| MLS# 810874 | Free Brevard County MLS Home Search. No Agent Needed. Daily Auto-Email Listings of All Brevard County Homes and Listings For Sale That Meets Your Home Buying Criteria. Brevard County Real Estate Market Information. 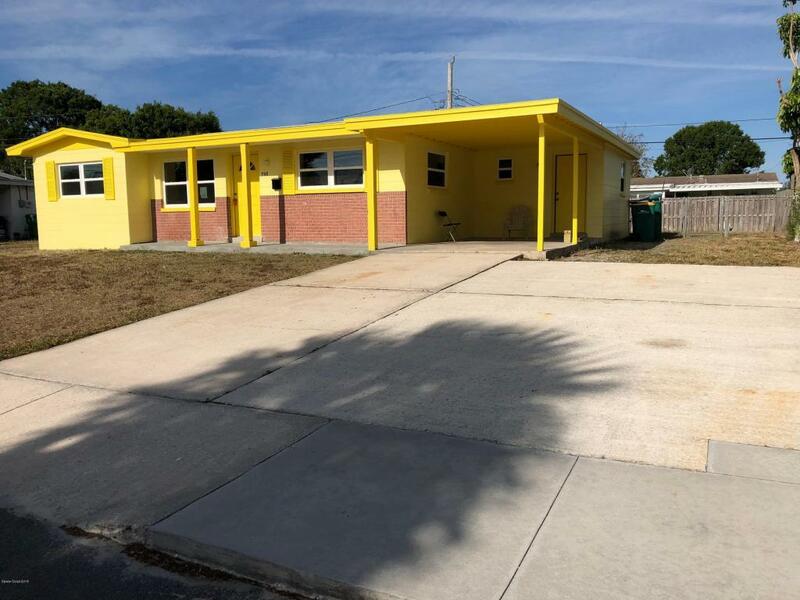 Beautiful and pristine concrete block, 3 bedroom two bath REDONE home. ALL New kitchen and appliances. Restored and glistening terrazzo floors. Brand new windows throughout. Wired for internet. Lovely new French doors to the all-enclosed Florida Room. Huge laundry/mudroom/utility room. Freshly painted inside and out. Large parking area. Fenced back yard with room for a pool. Great location in Central Melbourne - close to causeway,95, shopping and fun. Home overlooks a lush green median down this beautiful side of Croton Rd. Super clean and fresh ready to move in.